Last edited by C!C@; Jan 15th, 2014 at 08:32. Tonight see's the first Digitized Radio of the year on Afterhours FM. As my ear plugs still have not arrived yet, I was unable to mix the show, so my good friend Ally Brown stepped in for me. I have picked the tracks and the order, he did the mix. 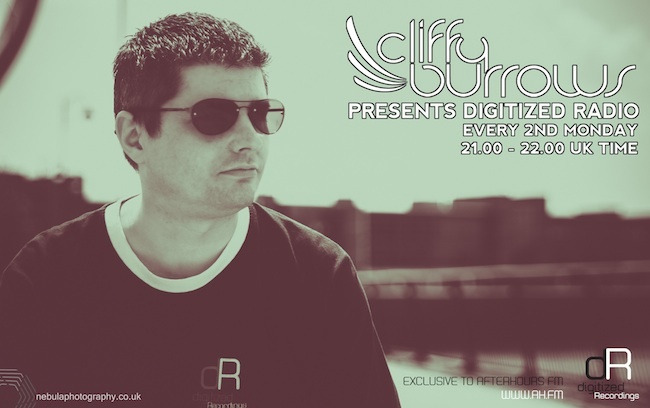 Got some massive tracks including 5 brand new tracks from Digitized Recordings. So to hear the likes of Obsidian Radio feat. Jan Johnston, Touchstone, Odonbat, Shaun Hutchinson, Allan Morrow ft. Sophie Way, Liquid Vision, Michele Cecchi, Jessica B, Sulaco, Geert Huinink & Mike van Fabio, Hoyaa, TrancEye, Tasso feat. Eliza Doe, Ally Brown and Matt Harrison. Tune in from 9pm GMT! Disco! Obsidian Radio feat. Jan Johnston - Love Like This (Beautiful Needs) (Touchstone Remix) - Amazing tune!!! i'm at work, so my interaction here in the forum very limited.